The station received awards from the following groups for various contributions: The American Kidney Foundation, The Jaycees, Aware, The Advertising Council, the American Chiropractic Association, and the Inner Peace Movement. "Moving Mother To The Mountain" was the name of the project to relocate the station's transmitter and antenna from the Gengras Student Union to the WTIC transmitter site on Avon Mountain. The station was off the air for part of the spring as the transmitter was installed on Avon Mountain. WWUH engineers Larry Titus, Charlie Allen and Stuart Yeager accomplished the actual move. A brand new 3-bay Gates FMC-3 antenna with radomes was installed on the old radar tower in Avon. Our transmitter moved from Gengras and was reinstalled in a small wooden building that had been used to house the center feed network for an old WTIC-AM antenna. The station signed back on the air on April 22 with the new transmitter site. The move had cost $14,000. After the transmitter was moved to the mountain, the wall separating the "transmitter room" from the FM studio was removed, making the air studio "L" shaped and nearly twice as large. John Ramsey recalls hearing only silence at the 91.3 spot on the dial during the spring and waiting for the station to come back on. "I didn't know why they were off, it seemed pretty strange that they would be off so long, but as soon as the station came back on the air after the transmitter move the increased coverage was simply amazing! I hadn't volunteered in the station in well over a year, and decided that I had been away too long. A few days later, I called the station and spoke with Roger Stauss, who invited me to come by that afternoon for a visit. When I walked into the Air Studio, Roger and I spoke for a few minutes and then he said "hey, can you do the rest of the show, I've got to go" so I was back on WWUH again!" The increased range of the station's signal really began to be felt. Listeners called into the station day and night, and favorable letters poured in. The station sponsored the WWUH Festival of Folk Music from the Gengras Cafeteria at 1 pm on May 4th. Featured performers were The Morgans, Jan Armstrong and Will Welling. The station's engineering department coordinated the technical set up and broadcast the entire show live on the air. Another series of live broadcasts took place the weekend of August 3 when the station covered the West Indian Week celebration in Hartford. This was the beginning of what became a strong relationship between WWUH and Hartford's West Indian Community. WWUH applied to the Corporation for Public Broadcasting for a grant, but was turned down because there was no full time professional staff. As a result, the goal for the upcoming fundraising marathon was set at $10,000. Larry Titus resigned from the position of Chief Engineer on July 8, with student Charlie Allen taking over the position via acting status. WFCR in Amherst asked us to produce Public Affairs Programs for them in return for cash. This was high praise for WWUH since WFCR was known as one of the top public radio stations in the country. The price of a Program Guide Subscription was raised to $10. Station Music Director worked with WSAM to help them get record service since many companies were reluctant to service two radio stations on one campus. A course entitled "FM Broadcast Workshop" was offered, taught by Linda Goldfarb from WHCN. Judy Corcoran, in an annual report entitled "Insight into WWUH" in May 1974, had this to say: "During the last promotional campaign for WWUH, we tried to find an adjective to describe WWUH. It is almost impossible to describe WWUH in one word. We feel too big to be called college radio. We're not quite public radio because the government does not fund us, although we air the kinds of programs many public radio stations do. And we're more than alternative rock, because we air some of the best soul, jazz and classical music around. We finally decided on WWUH: Public Alternative Radio. Working at WWUH has been a unique experience for most of us. At most college stations, radio is a hobby. To most people at WWUH, radio is a lifestyle and WWUH is our family. The people rarely leave or lose contact wit the station. This has been one part of the success of WWUH. The other part has been the staff's dedication to forego almost anything to keep the station on the air with quality programming. And with a staff that turns over nearly each semester (some of us even graduate), keeping the high programming standard is no easy feat. Judging from listener response and due largely to the Program Guide, WWUH has a steady audience who are finally realizing that we offer different forms of programming at specific times. Consequently, they tune back. There is also a small audience who listen to UH most of the time, people who like jazz, classics, rock, public affairs, and special programs. One advantage of non-commercial college radio is that it is constantly growing and experimenting. Some problems come and go, some remain, but the basic concern for the station is always there. WWUH has addressed three major concerns this year: lack of money, lack of space, and lack of academic credit for the work that is done. WWUH took a big step this year when it finally moved its transmitter to Avon Mountain. Besides making UH one of the largest college station in the East, the move cost around $14,000. After begging and borrowing, we came up with the money. In the past, WWUH has had a reserve fund from the original Roth family grant but now that account is almost empty. Fiscal year '74-75 should be extremely tight. We have received $14,000 from the University for the past few years as an annual operating budget. This year we purchased a new audio control board for $3,000 and now we are in need of automatic gain control, an FM exciter, cart machines, a production board, and eventually, a new transmitter. There have been many meetings and memos this past semester regarding the building of the Communications Department to provide a Major in public communications. There is much interest among students at UH for such a program, as many people at WWUH have, are and will work as professionals in broadcasting. Fortunately, WWUH allows non-students can work here, both on and off air. This is one of the reasons the air sound is so good. During this past year, about seven announcers have had previous professional experience. This arrangement is beneficial to both listeners and to students, who learn from these professionals. The programming department became very strong during the past year. With much credit due to Roger Stauss, Program Director, WWUH has been on the air, with a few exceptions, for 20 hours a day, 365 days a year. WWUH has also regularly produced its own programs such as "Music from Czechoslovakia," hosted by Joza Karas, an hourly program featuring native artists performing music composed by Czechoslovakians. Another WWUH original weekly program is "African Worlds," hosted by Professor Ifekandu Umunna, which highlights many different African cultures. On April 22, WWUH signed back on the air with its new transmitter facilities. The move cost a lot of money, caused a lot of work, produced a lot of headaches, and took a lot of time. The move is probably one of the most significant things that have happened to WWUH since it began. A big fundraising marathon and arts festival were planned for May but cancelled in April because at that time we didn't know when the transmitter move would be completed. It has been rescheduled for the fall. Another project in the works concerns the rights of a non-commercial station to state its editorial opinions. Currently, Section 399 of the Communications Act of 1934 states: "No non-commercial, educational broadcasting station my engage in editorializing or may support or oppose any candidate for political office." I have written to the FCC for confirmation that this law is still in effect. If so, I plan to notify the non-commercial college station across country and work in a combined effort to change the law. WWUH has been gaining recognition in the community. 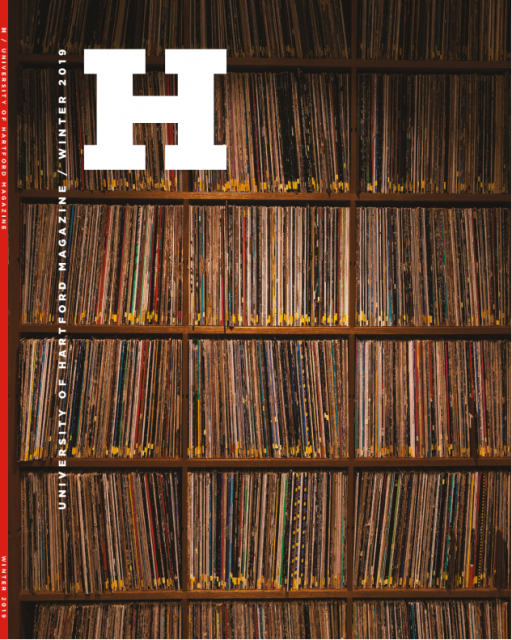 The Program Guide, under the editorship of Terry Sobestanovich, has helped publicize both the station and the many different programs offered on WWUH. Donations have been averaging $20 a week and many programs have been underwritten by commercial institutions. Complimentary letters average about three a week. The main thing that I have noticed is that WWUH is becoming known as "a radio station." WWUH is often played in stores and can be heard on car radios and blasting from people's rooms and homes. Window stickers are often sighted and area professionals are aware of us. But we haven't done it alone. Much of the credit for the current station's success is due to the people who started WWUH. Everyone who has passed through its doors has been touched and has touched others. WWUH is a good place." The cover of the June, 1974 Program Guide featured "The Official Nixon Countdown Calendar" where listeners could mark off the days until the president was impeached! While many people liked the cover, a number of people objected and complained directly to the university. Judy Corcoran wrote about the controversial 1974 Program Guide cover in 2003: The countdown calendar was a real "poster" I purchased somewhere. I forget when Watergate broke, but it took several months/years to come to a head. Nixon, mainly because of the war, was about as popular with half the country as George Bush is today. The countdown calendar counted Nixon's days in office with a little box to scratch off each day. I don't recall that we got in trouble for it. Someone might have said something in passing, but it wasn't huge. It would be akin to putting a George Bush countdown calendar to the next election or similar "bumper sticker art" on the cover of the program guide today. Would you get in trouble from the university and listeners? Speaking of bumper stickers, the bicycle bumper stickers were little 1.5 inch by 1 inch "stickers" in assorted neon colors. We ordered them for no real reason, probably just for fun to stick around places. When they arrived, I said they looked like "bumper stickers for bicycles." The staff list as of December 5, 1974 showed 25 active members, and 30 associate members: Anita Alexander, Doris Artis, John Barone, Ron Barrsano, Tricia Beatty, Al Brennan, Art Barlow, Andy Bronstein Jerry Burke, Kathy Carrrol, Paul Cailler, Ron Davis, Dave Delisle, Bob Dunkley, Steve Foss, Wayne Geig, Walter Gibson, Don Helfer, Michael Kaufman, John Klupsak, John Labella, Coby Leyden, Mickey McClosky, Dawn Merriweather, Nay Nassar, Mark Persky, Bill Popoosha, John Ramsey, Maurice Robertson, Michael Rosenberg, Paul Rosenblum, Cliff Schley, Jim Shanahan, Steve Shore, Diane Sinisi, Dianne Smith, Bob Smolen, Roger Stauss, Bob Thompson, Lloyd Leslie Terry, Joe Terzo, Ray "Moby" White and Stacy Zwaik. Michael Cummings was elected general Manager on December 15, 1974. The minutes of the election meeting, gave the following account of his acceptance speech: "The station is really something. I hope things will continue as they are because I feel that WWUH is going places." Major headlines in 1974: Nixon and Brezhnev meet in Moscow to discuss arms limitation agreements. Background; Leftist revolution ends almost 50 years of dictatorial rule in Portugal (launched Apr. 25); India successfully tests an atomic device, becoming the world's sixth nuclear power (May 18); Patricia Hearst, 19-year-old daughter of publisher Randolph Hearst, kidnapped by Symbionese Liberation Army (Feb. 5); House Judiciary Committee adopts three articles of impeachment charging President Nixon with obstruction of justice, failure to uphold laws, and refusal to produce material subpoenaed by the committee (July 30); Richard M. Nixon announces he will resign the next day, the first President to do so (Aug. 8); Vice President Gerald R. Ford of Michigan is sworn in as 38th President of the US (Aug. 9); Ford grants "full, free, and absolute pardon" to ex-President Nixon (Sept. 8). Tom Gomez was appointed acting Business Manager in May. A) to serve the greater Hartford Community, B) to serve the University of Hartford Community, C) To train UH students in the field of radio. The ECOM felt that active community volunteers should be allowed to vote, but that students should still have control of the station by holding the ECOM offices. They strongly felt that all of the people actively contributing to the station should have a say in who runs the station. In January, local station WFSB TV-3 approached ECOM with a unique proposal. In an effort to better serve the Spanish community of Greater Hartford, they wanted WWUH to simulcast their six o'clock news program in Spanish. The ECOM realized that the loss of some classical programming time was more than made up for by being promoted on one of the most influential media outlets in the state. Michael Cummings ratified as acting General Manager at an emergency meeting held in July. The February 15 ECOM Minutes mention a problem with an announcer refusing to sign the programs logs while airing a tape because he disagreed with the content of the tape! Further discussions centered around the "censoring" of the "None of the Above" program about Gay and Lesbian issues by Program Director Joe Rudich on February 9. Joe had kept the program from being aired because he hadn't heard the tape and he was concerned about FCC prohibited words being broadcast. The ECOM decided to make it mandatory for the Program Director to audition all tapes before airplay. The March 7 ECOM meeting saw a discussion of the station's programming. The station continued to follow the pattern, established long ago, to program whatever sounded good. The question was raised of whether the station belonged to the University or to the community. Spontaneous Combustion, a program about the "arts-life-alternative energy experience", made its debut in March. Segments included specials on the exploration of dreams, a reading of the Long Sheet, Jim Baker and Tabla, a creative satire on commercial radio, readings by members of the Hartford Stage, the Magic Shop, and readings by area poets. With elections looming at the end of the spring semester, volunteer Ed Barks, expressed an interest in running for the Program Director position but he was told that he could not because he was only a part time student. Ed protested the decision to the University. The ECOM and the University researched the matter and determined that a part time student could run for an ECOM position because the station's constitution doesn't make a distinction between full and part time students. From the April 11 ECOM Minutes: "Joe Rudich was asked to withdraw his name as candidate for the Program Director position based on his statement that he resents the Executive Committee. Following that request, Joe Rudich resigned as Program Director and as a member of the station." Bob Gross was appointed Acting Program Director in April. At the April 20 election meeting, the various candidates presented their positions. The statements below were excerpted from the minutes of the election meeting on that date: Mimi Spillane, who was running for the position of General Manager, said that she wants to see the station run in an open manner and asked for feedback from the staff "because all people are here for the station". Steve Berian, who was running for Operations Director, stated that he wanted to improve the efficiency of the station and to bring all sections of the station into one cohesive unit. He also called for openness and said that he intended to speak with all members of the station about their basic philosophies about the station. There were two candidates for the position of Program Director, Ed Barks and Bob Gross. Ed Barks spoke first. He said that he wanted to see training in production and news for all announcers. He also said that he would work to try to bring out the potential of all people. He presented a written document, "Programming Ponderances, Volumes I through V" to the staff. Bob Gross, the other Program Director candidate, said that he would try to bring together everyone as one group to best serve the Hartford community; that he was running on his past actions as acting Program Director and that he hoped to improve the quality of the sound and to teach radio to all who work here. The Director of Development candidate, Donna Burton (Firefly) stated that she had experience working in the same type of position at WHUS. She felt that the job centered on public relations for the station with the University and with the community in general. She submitted written copies of her ideas for the department. John Anderson, the Chief Engineer candidate, asked for everyone's help. He said that he was running on his past performance. Bob Cohen, on the ballot as the only candidate for the position of Business Manager, withdrew his name but offered to help anyway. Minority Affairs Director candidate Jackie Peart was unable to attend the meeting. During the year, there was much discussion between some staff members about the Accent of Jazz shows, which aired from 9-12 in the evening. The issue that was also noticed by several listeners who wrote to the station was that these "jazz" shows were featuring more "rhythm and blues" music than jazz. The following is an excerpt from Director of Development Donna Burton's letter to the ECOM during this period summarized the concerns: ". . . Jazz programming cannot be equated with black programming. If it is, then we are doing a great injustice to the music and to the talented people to make the music. Jazz is a universal music. Jazz transcends race, age, and nationality. What is Black Programming? Black programming, musical, educational, and cultural, is programming that speaks directly to the Black community. It is extremely important that we serve the black community with relevant programming. The time blocks from 9-12 pm Tuesday, Wednesday and Thursday and 8-12 Friday and Saturday (note I am not including Monday, 9-12 pm, the jazz show that I do) is oriented specifically towards black listeners. That is why Earth, Wind and Fire, Taj Mahal, Aretha Franklin, and other black artists who do not play jazz are included in these programs. In my opinion, this slot has been misnamed "Accent on Jazz." If it is black programming, let us call it black programming. Otherwise, our listeners will be confused . . . there is nothing wrong with Black Music Shows; in fact, they are a VERY IMPORTANT part of our programming here at WWUH. The audience is there. Anyone who has watched the phones light up for Maceo or Art Barlow can attest to that. "I request that we straighten this out, this jazz programming/black programming confusion. They are different. There is definitely room for both at this station. Let's make room for both. Let's call the programs by their proper names." 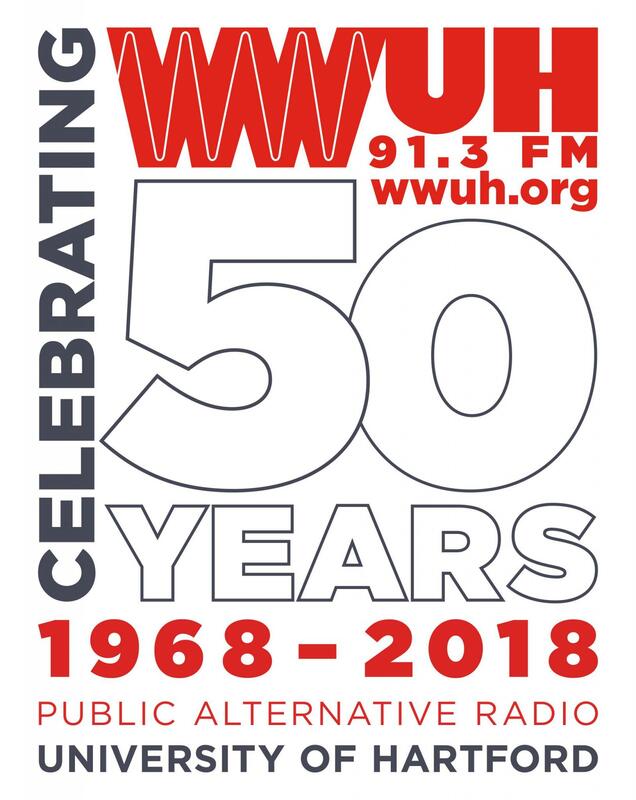 "We the Executive Committee of WWUH, for the year 1976-77, feel that "Public Alternative Radio" WWUH should serve as the voice of the Greater Hartford area. The station should feature Public Affairs programming, produced within its own studios that deal with the area served. WWUH should also provide diversified programming, "alternatives" to that which is offered on most commercial radio stations, in both music and non-music programming. "As the station of the University of Hartford, WWUH should draw on the resources available within the University, as well as drawing upon those outside the University. This would mean that while training students for jobs in radio, the station should strive for the best programming possible. "WWUH is, and should strive to remain, "public alternative radio" in Hartford. Its schedule and staff should remain flexible, able to accommodate change when necessary, but maintaining an air of professionally at all times. "We call ourselves "Public Alternative Radio"; let us think that way and work in that direction." Ed Barks, Program Director, made the following proposal: 1) Extend "Morning Jazz" one hour, to run from 9 am - 12 noon Monday through Friday. 2) Move our current midday Public Affairs hour from the present 11 am - 12 noon slot to 12 noon to 1 pm each Monday through Friday. 3) Consolidate "Recess Rock" and "Afternoon Roll" into one shift, from 1 pm to 4:50 pm. Another controversial issue during this time period concerned the presence and official status of community volunteers at the station. This would be addressed by the1976 ECOM, who felt that since many of the students at UH were from out of the Hartford area, they had little knowledge of and/or feel for Hartford. The consensus was that the input of the community people who work at WWUH is very important. They kept WWUH and the University in touch with the community, and brought their various experienced from the outside to the station and the students. Michael Plen stated that he planned to start up a News Bureau at the station. The annual staff banquet was scheduled for Thursday May 6 at the Terrace Room at Bradley International Airport. Program Guide editor, Linda Faulkerson, decided to combine the issues and put out one "fat" guide for the summer months. The station's engineering advisor was Ed Nelson, a faculty member at Ward College and former NASA engineer. Membership would be open to all with no barriers, but with the expectation that the volunteer would actively participate in the station. After a period of time, the new member would be brought to the ECOM to be recognized as a full member. Active status could only be conferred on full time UH students who have show an active interest in the station. They would have voting rights. Associate status would be conferred to part time UH students or non-students who have demonstrated active participation in the station. The demand on the station's production studio was so great that the ECOM decided that non-station production could only be done in the studio between the hours of midnight to 8 am. As the reputation of the station grew, local broadcasts began to notice that WWUH announcers were a cut above the DJs from other college stations. Both WHCN and WKSS approached the station in search of interns. Limited elections were held on September.25th for General Manager and Business Manager positions. Along with the station's success came a number of growing pains. The September 28 General Staff Meeting had the following items on its agenda... The ECOM set a firm policy regarding record theft: Anyone caught removing records from the station would be fired. No drinking or smoking in the studio would be allowed. Advance notice had to be given if someone was going to miss a show. Announcers must perform behinds the scenes work other than just their show. More care must be taken with meter readings and the logs. In reaction to the increasing reoccurring problem of albums disappearing, spot checks were made at different hours day and night in order to try and alleviate the problem. Misfiling was also a problem. From the October 1, 1975 ECOM Meeting minutes: "Neil Portnoy spoke first, saying that the station will lose its 'alternativeness' by being 24 hours. He suggested that a limit be put on the rock programming and that our produced programming be increased as much as possible." Joe Rudich resigned from the position of News Director, Bill Brady and Bob Browning were appointed to share the job. Mel Yates and Bob Browning attended a WSAM ECOM meeting in November in order to promote better relations with WSAM. Discussions were undertaken for a combined student training effort. The annual budget for the station for FY 75/76 was $17,000. Further discussion on the controversial "None of the Above" program centered on the ECOM's concerns: A) Whether or not the producers of the show were using WWUH to air personal views (This because of their extensive coverage of the gay liberation issue), and B) Whether the producers were being too commercial by listing the gay bars in the Hartford area. The ECOM agreed that only FCC prohibited material could or should be censored by the Program Director. Some staff members present at the meeting were concerned with outside pressure on the Program Director, and were concerned that the station would not be a "free channel". In response to some announcers abusing the privilege by showing up late, not filling out logs, missing Ids, etc. a "Permit to Operate" system was put in place based on the three college semesters. It was designed so as to enable the station to secure a penalty against a staff member who disregarded FCC law, general station policy, or ECOM directive. The system was based on the fact that a WWUH volunteer, like any licensed individual, is expected to follow the rules governing on air and internal operations. Strikes against the permit would accumulate from policy and rule infractions; after a certain number of infractions, the permit to broadcast would be suspended. Program Director Bob Gross submitted his resignation in August 1976 citing personal problems. He stated that he had been affected both physically and mentally by station and staff problems, and that it was difficult to still care about the station. However, he did stay on as a staff member. The ECOM promptly set up an interim programming committee consisting of Donna Burton, Roger Stauss, Marsha Lasker and Mimi Spillane. Steve Berian submitted a proposal to consolidate the Minority Affairs, News and Community Affairs Department into a new department to be called the Community Affairs Department, which would be headed by a Community Affairs Director who would be an ECOM member. Under his proposal, the Program Director would be responsible for music and entertainment programming and day-to-day scheduling and the Community Affairs Director would be responsible for the News, (non-music) Minority and Public Affairs Programming. Dave DeMaw was appointed acting Director of Development in September, filling the slot that Donna Burton has left. On November 4, 5 and 6, the station sponsored the Citizens Committee of Inquiry into the JFK assassination. The event took place on campus, and the station broadcast a large portion of it. George Michael Evica headed the event which featured key note speaker Mark Lane (a noted expert on the JFK assassination and author of the book "Rush to Judgment") and guest speaker Jim Garrison, the New Orleans's District Attorney who, many years later, would feature prominently in Oliver Stone's controversial movie, "JFK'! Garrison conducted his own assassination investigation, which led to the trial of Clay Shaw in 1969. WWUH once again demonstrated its commitment to the community to taking part in and/or broadcasting live from the following area events: The New England Fiddle Contest, Clown Day in Hartford, Soccer with the Connecticut Yankees, The West Indian Celebration, The Harames Festival '75 and the Hartford Family Folk Festival. The new Connecticut Freedom of Information Act Commission held one of its first meetings at U of H in October. The station covered this session in depth. The RKO Radio Network planned on forming a human chain across the country on July 4, 1976 to celebrate the country's bi-centennial. WWUH offered to be the official Hartford station. The winter holidays always bring out the best in many WWUH announcers, and the airwaves are full of songs celebrating Hanukah, Christmas, Three Kings Day and Kwanzaa. In December, the station aired a special program, "A Christmas Carol" for the holiday season. A twelve-hour live broadcast was undertaken from Bushnell Park as part of the New England Fiddle Contest on May 29th. An April 1, 1975 engineering report showed a very active engineering department, staffed by Tom Gomez, Chuck Pagano, Neil Portnoy, Joel Salkowitz, Joe Rudisch, Frank Nowicki and Steve Berian. Projects being worked on at the time included: The installation of the new Technics turntables in special acoustical isolated pedestals in the air studio; Work on the custom production console (in the works for over three years! ); designing of a main studio power panel. At the transmitter site, the Wilkinson exciter was returned to the manufacturer for the installation of upgrades. Tours of the studios of local stations, including WTIC and WDRC, were held for the engineering staff. Parts were purchased to build a production board from scratch. The design for the console originated in house by WWUH engineering personnel. The console would be very large, almost 7 feet across, and feature 12 stereo channels, with three independent stereo output busses. The EBS system was changed to the two-tone system in early 1976, requiring the station to purchase new equipment. By this time the engineering shop had moved from the first floor (near the SW stairway) to the 3rd floor next to room D.